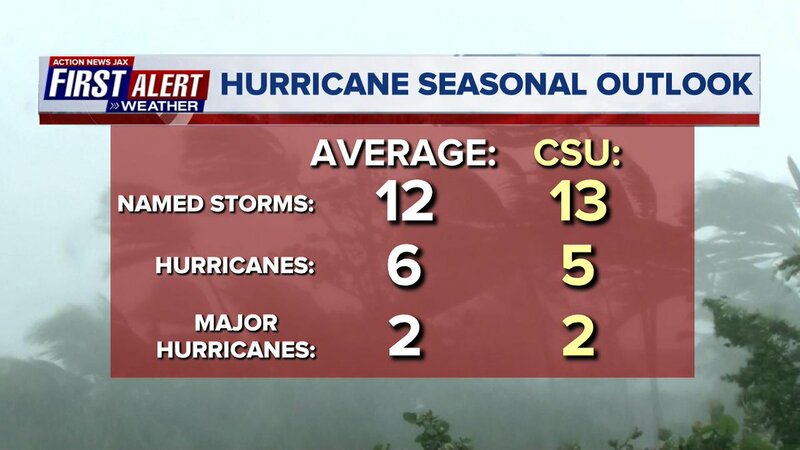 April 10, 2018 - 'Tis the season for hurricane forecasts & preps. First.... Dr. Phil Klotzbach's annual early April forecast for the season (June 1 - Nov. 30) ahead. "About average" is the call for now. Much is predicated on at least a weak El Nino (warming of the equatorial Pacific) continuing through the summer which usually at least cuts down on the number of tropical storms & hurricanes. NOAA will issue their forecast in mid to late May. We'll get a chance to see hurricane hunter aircraft up close & personal as well as a myriad of other hurricane info. 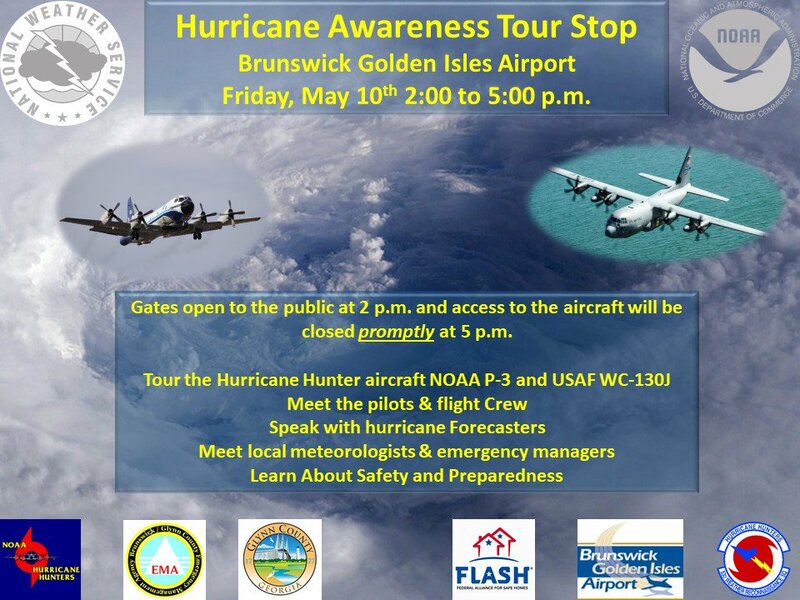 when the NOAA hurricane awareness tour makes a stop in Brunswick, Ga. May 10th. The National Hurricane Center is offering up a free webinar May 9th for 4th through 6th graders. Great opportunity for science teaches. More info. ** here **. 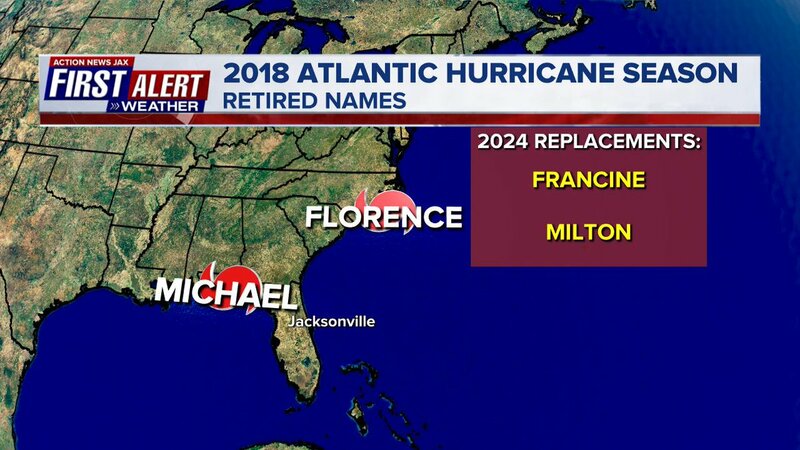 Two names were "retired" from last year - Florence & Michael. 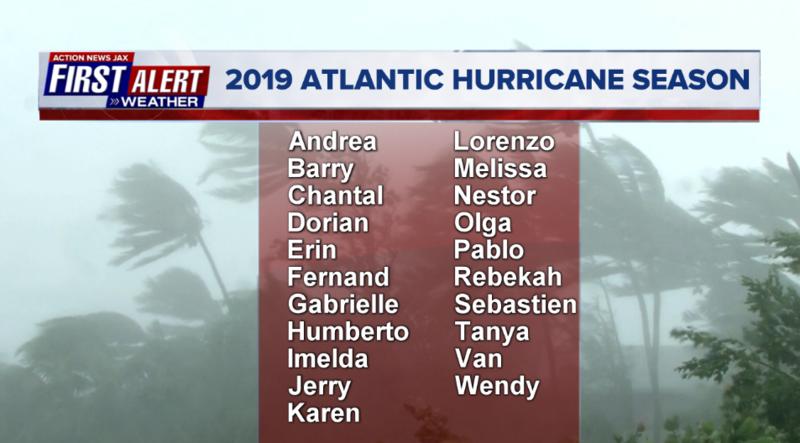 Remember that the list of names repeats every 6 years & is decided upon by the WMO (World Meteorological Organization). Apr. 8 (evening): The waxing crescent Moon, Aldebaran, Mars, and the Pleiades star cluster form a diamond in Taurus. Apr. 9 (evening): The Moon has leapfrogged over Aldebaran and now sits some 5° above the Bull’s brightest star. Apr. 11 (evening): Mars approaches Aldebaran, and will be less than 7° from the red giant for the next seven nights. The star is twice as bright as the planet. Apr. 13 (evening): The waxing gibbous Moon, in Cancer, is 2° from the Beehive Cluster (Messier 44). Apr. 14 (evening): The fattening Moon visits Leo and is about 5° from the Lion’s brightest star, Regulus. Apr. 22 (evening): The Lyrid meteor shower peaks tonight. Best viewing is during the pre-dawn hours that day, but the waning gibbous Moon, three days past full, will interfere. Apr. 22 (morning): The Moon, by the claws of Scorpius, is some 7° from Antares. Apr. 23 (night): The thinning Moon, Jupiter, and 51 Ophiuchus form a tight triangle from when they rise shortly before midnight to sunup. Apr. 25 (morning): The Moon and Saturn are some 3° apart. For those in Eastern Australia, New Zealand, and western South America, the Moon will occult the ringed planet on the morning of the 26th. May 2 (dawn): Look toward the east just before sunup to see Venus rise; paralleling the Morning Star’s path some 5° to the lower right you might glimpse the very thin crescent Moon. May 6 (morning): The Eta Aquariid meteor shower is best, especially for viewers at southern latitudes. May 6 (dusk): The thin waxing lunar crescent is 2° to 3° upper right of Aldebaran.